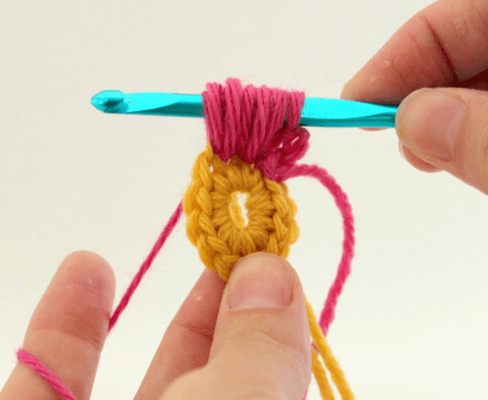 Have you been wondering how to crochet a flower and put together a crochet piece everyone will love? 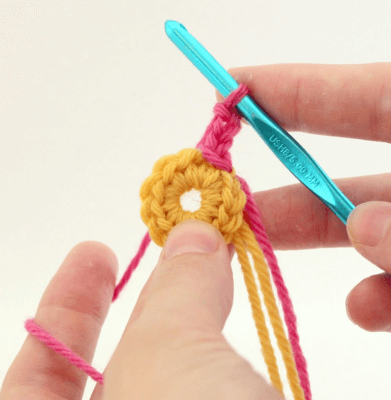 Well, our crochet puff flower written pattern and video tutorial is the perfect guide to creating stunning crochet puff flowers. By the end of this article, you will not only be confident enough to make a couple of these flowers, you are going to enjoy showing off your new creations. Each flower only takes 10 min to make and you will be able to mix and match all your favorite colors. To come up with the most amazing puff flower collection. The crochet puff flower pattern is the prettiest thing we’ve come across in a few weeks. 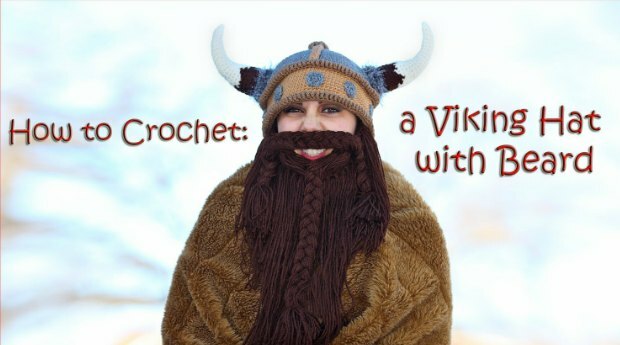 At least that’s the feeling with everyone at Crochet News! 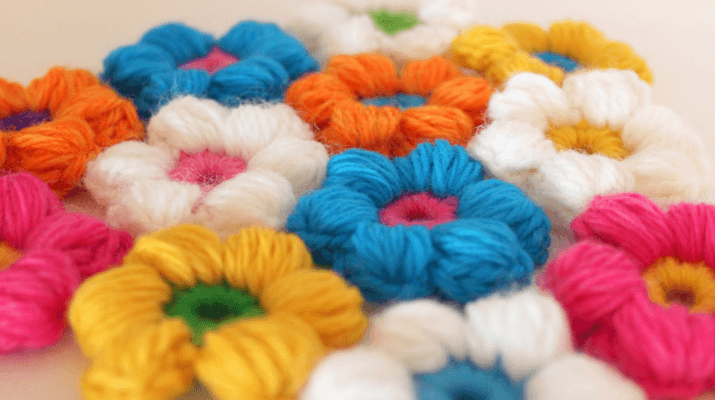 The design is a six petal puffy flower crochet stitch that can be used to assemble a beautiful item such as a super-cuddly blanket all on its own. You can also use the crochet puff flower pattern to create cute embellishments on other craft or crochet projects you might have running. We have both a written step by step tutorial and a video tutorial on the same just for you. Depending on what you prefer and your level of skill, you’ll soon have this new stitch pattern, stitch-perfect in no time at all. 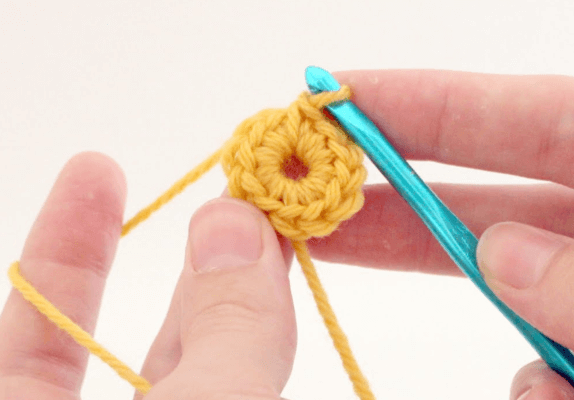 A 4mm or size G crochet hook. Any brand of worsted weight yarn in 2 colors. Crochet puff flower items are hugely popular which is no surprise really, these babies look absolutely amazing. 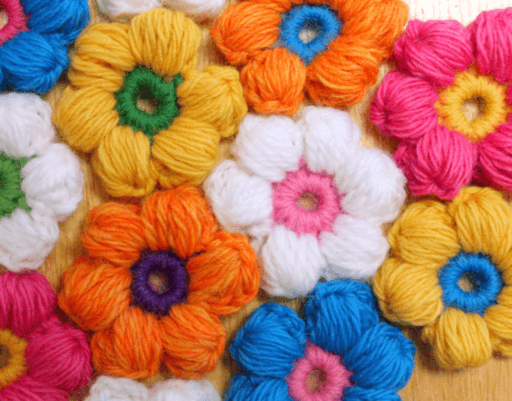 The puff flower blanket is my personal favorite but before we can talk about all things blankets and flowers, I’ll show you how to crochet a flower for beginners step by step. Chain 4, slip stitch to the first chain to form a loop. Round 1, -Chain 1, work 12 single crochets into a loop. Yarn over and insert the hook into the same Yarn over once more and pull up a loop as long as your beginning in Ch 3 to form a long loop. Yarn over and insert the hook into the same Yarn over again and pull up a long loop twice. Then, yarn over and insert the hook into next stitch then yarn over and pull up in a long loop. Yarn over and insert the crochet hook into the same stitch. Yarn over once more and pull up a long loop. Do this 2 times. Chain stitch 3. Yarn over and insert the hook into next stitch. Yarn over and pull up in a long loop. Then, yarn over and insert the crochet hook into the same stitch and proceed to yarn over and pull up again in a long loop. Repeat this 2 times then yarn over, insert your hook into next stitch and yarn over and pull up a long loop. Yarn over and insert hook into the same stitch and do a yarn over then pull up in a long loop. Do this 2 times. Yarn over again and pull through all the loops on your hook. Fasten off then proceed to weave in the ends. The finished flower should have a diameter of about 2 inches. 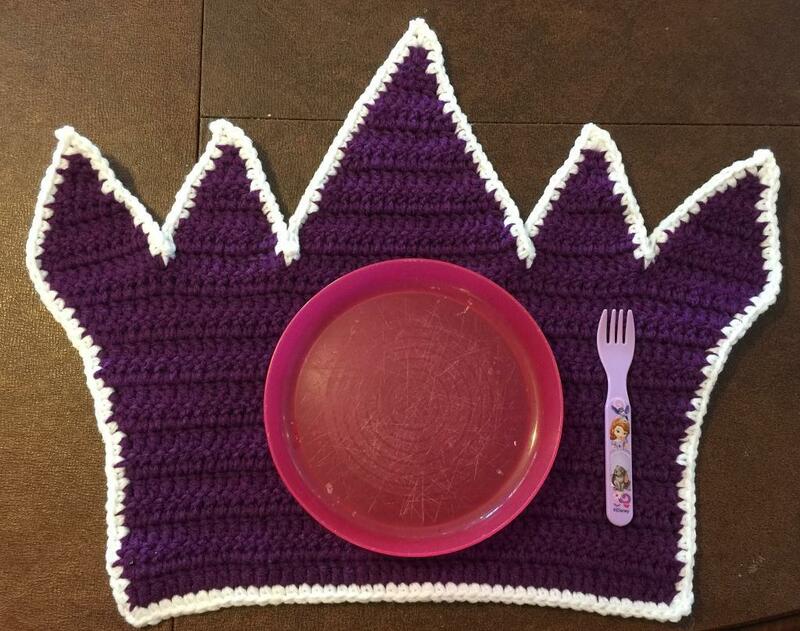 The skill level required here is intermediate although beginners are welcome to attempt this project. A single crochet puff flower shouldn’t take you more than ten minutes from to start and finish. For an easier experience, use both the written instructions and the crochet flowers tutorial. The beauty of crochet flower patterns is in the colors you choose. There are no restriction on what colors you can choose, so get as creative as you can. 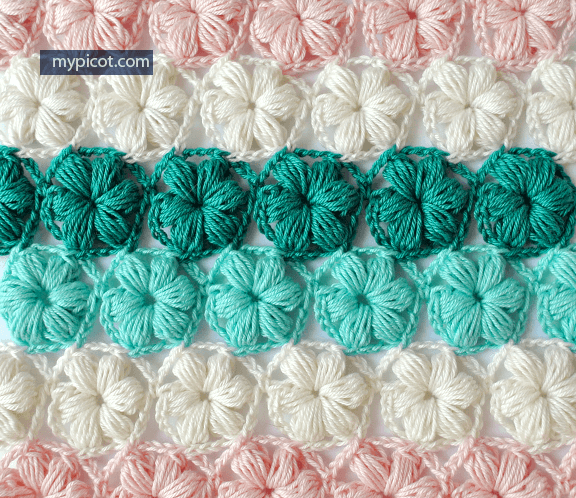 If you like, you can collect several pairs of colors that go well together and crochet a bunch of these puff flowers. Now to the exciting part, what can you do with the finished crochet puff flowers? Almost anything you can think of. As earlier mentioned, you can use these flowers to make beautiful baby blankets or even adult-sized blankets. You don’t have to stop there, why not try a colorful afghan to stay warm in on chilly nights? You’re going to love just how much you can do with these puff flowers. Mamachee for the awesome pattern and images.